I love this weekend, it's green, the birds are singing, spring has most definitely arrived, and, the Kentucky Derby is tomorrow! 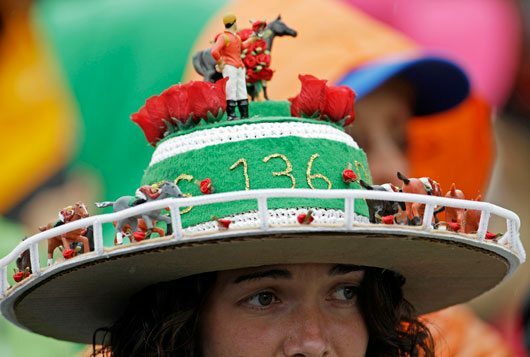 Yes, it's the 137th running of Thoroughbred racings first of the Triple Crown races – the Kentucky Derby. I can't wait, and though I think I have my favorite picked, this morning's scratch of Uncle Mo may change it all for me. Here at the log house, we're still partially suffering from Royal Wedding withdrawal. Far too much of it, that is. Still, we loved the hats of the Royal Wedding, didn't you. 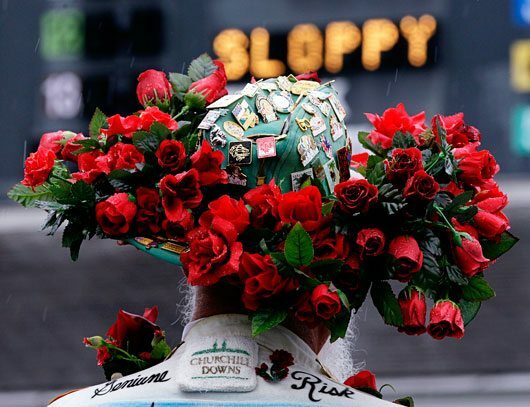 If you think the Brits have the outrageous hats market cornered, check these out from past Derby events. Is it just me, or is there an odd likeness here? A head-top re-enactment of 2009's race. Why do I just want to eat this hat? Lost on the way to the Tournament of Roses? Wearing this hat actually looks like a riot. Of fun, that is. 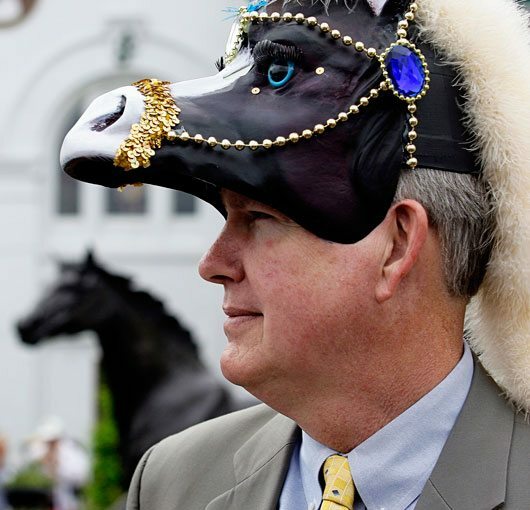 Check out this link for a slide-show of comparisons of Royal Wedding hats and Kentucky Derby hats. There appears to be no boundaries. Here's a really great link to the 13 worst Thoroughbred names in Kentucky Derby history, including such memorables as The Winner (who unfortunately didn't live up to his name and finished second to last in the 1896 Kentucky Derby), Degenerate Jon and Air Forbes Won (yes, it really is a bad pun). 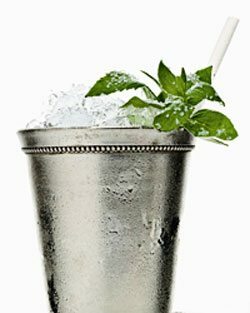 Of course the official cocktail of the Kentucky Derby is the Mint Julep, but if that doesn't spin your wheel, www.foodandwine.com offers up nine Kentucky Derby cocktails in this slideshow, from the Wager to the Aqueduct. 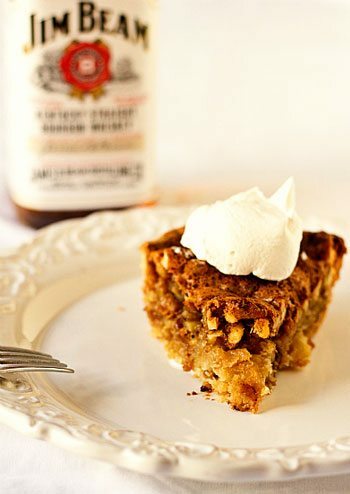 If that's too much alcohol infusion for your tastes, you can indulge a teensy bit and pay tribute to the excellent bourbons brewed in the state with a Chocolate Bourbon Walnut Pie. I may have to break down and make this one. Whatever hat your wearing this weekend, enjoy, indulge, cheer and have a fabulous one and thanks for checking in with Screen Doors & Saddles this week.